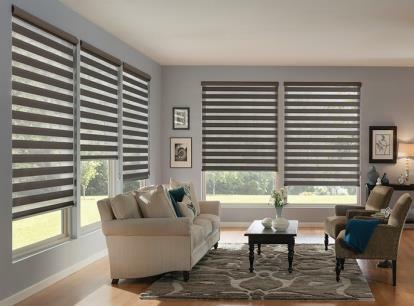 TwinLight Transitional Shades combine the softness of a fabric shade wih the functionality of a horizontal blind. 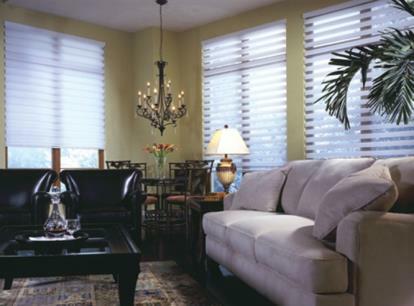 Alternating bands of solid and sheer fabric can be rotated to achieve privacy or view through. It’s a unique twist on a traditional roller shade. When open, the layers align, gently filtering light through the sheer material. The fabric helps block harmful UV Rays, protecting your interiors. These shades can be raised completely for an unobstructed view as well. 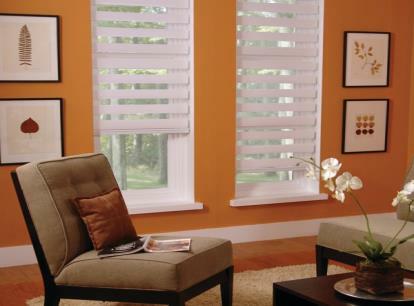 These shades come standard with a continuous cord loop lift system for maximum ease of operation.